This is the second Ivo's collaboration with the violist Mat Maneri (the first one was with Matthew Shipp and Mat Maneri, CD LR 681, A Violent Dose of Anything. 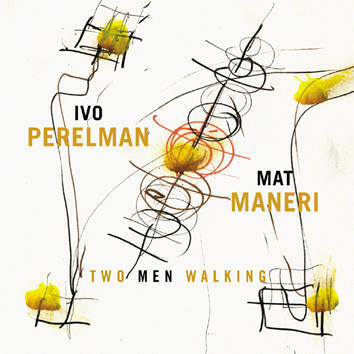 On "Two Men Walking" Perelman pairs his sax with another single-melody instrument great in a duo for the first time. "Playing with Mat Maneri, Perelman gets as close as possible to a condition of true artistic unity — the melding of two musical personalities into one" (Neil Tesser).